DWD Collars are used to retain DWD Air Poppets in the mold but also to allow for removal of the Poppet while the mold is still in the press. This is beneficial where frequent fouling of the Poppet is a problem. Collars are supplied with spanner wrench holes which must be filled after installation. 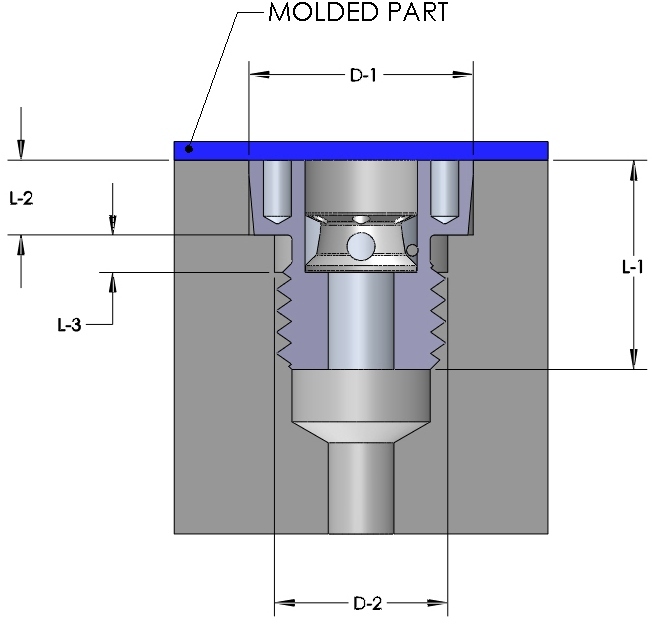 DWD Collars also correct problems due to poor press fit conditions or a temperature differential between the mold and the Poppet. When securing the Poppet with the supplied roll pin, caution should be taken to avoid any interference with the Poppet spring.